By registering on the Weezevent website, the Organizer expressly accepts these ToU, which will prevail in the event of a dispute. Weezevent promotes an online Event ticketing solution under several domains, subdomains and aliases, as well as through mobile applications, including but not limited to, the Arthur and Weezaccess apps (hereinafter collectively referred to as the “Sites”) and markets this solution to assist Organizers. It acts as a service provider and agent, in the name and on behalf of Organizers, and assists Organizers using its expertise, structures and equipment. Weezevent also promotes a ticketing solution that Organizers can use directly, at the Event venue. These ToU govern the contractual relations between the Organizer and Weezevent (hereinafter collectively referred to as the “Parties”). This service agreement authorizes Weezevent to act as the Organizer’s agent with the aim of producing, issuing, distributing and selling tickets (hereinafter referred to as the “Tickets”) in the name and on behalf of the Organizer. Thus, Weezevent sells booking agreements and admittance and attendance rights (hereinafter referred to as “Admittance Rights”) in the name and on behalf of the Organizer. The Organizer remains fully responsible for the Event’s organization vis-à-vis Ticket buyers (hereinafter referred to as “Attendees”). Within this framework, Weezevent acts as a service provider, working on behalf of the Organizer. Therefore, Weezevent’s exclusive role is that of an intermediary, acting as an agent in the name and on behalf of the Organizer, who acknowledges the nature of said relationship. A ticket is a physical manifestation of an Admittance Right. It allows Attendees to present themselves at the Event venue and benefit from services offered by the Organizer. As regards equipment provision at the Event venue or the issuance of complementary Tickets, Weezevent does not act as an agent, but merely as a service provider that invoices the Organizer for its services. The provisions outlined in these ToU still apply, insofar as they are compatible with Weezevent’s sole status as a service provider. Weezevent makes online administrative software (hereinafter referred to as the “Software”) available to Organizers, who can access said Software on Weezevent Sites after entering their access code and password. This Software enables the Organizer to autonomously set up his/her Event(s), under the conditions set forth herein. It may not be used for any other purpose. The Organizer can also use it to consult sales figures in real time. Should Weezevent so agree, it may set up the Event on behalf of the Organizer, provided that the latter sends a prior express written request to this effect. In this case, the Organizer must send Weezevent all the necessary information related to the Event in question. Such information must be provided within a reasonable and mutually accepted time frame. Once this information has been received, Weezevent is entitled to a minimum period of 2 working days to update it and post it online. The Weezevent solution may also be used to advertise Events. Tickets and Event-related products are sold to Attendees through Weezevent Sites. Weezevent handles Attendee payments and deliveries. Physical sales may also be carried out using the Weezevent solution, in which case payment is made directly to Organizers. This procedure is further described in an article included herein. Generally speaking, Weezevent sells online Tickets exclusively on its Sites, using its own Internet servers. The Organizer may, however, integrate the purchasing module into a third-party site that accesses Weezevent’s servers. Nonetheless, the Organizer expressly authorizes Weezevent to market Event Tickets through its partner networks. In this case, Weezevent is solely responsible for remunerating its partners, who may freely set a final sales price that is higher than the Organizer’s price, posted online via the Software. Weezevent is under no obligation to sell a minimum or guaranteed number of Tickets, and the Organizer alone bears the risks associated with unsold tickets. The Organizer shall provide Weezevent with a guaranteed Ticket quota, which may be increased if necessary. The Organizer agrees that it will not surpass the Event venue’s actual hosting capacity by selling, or allowing Weezevent to sell, a surplus number of Admittance rights. The Organizer agrees that it will not knowingly misinform or deceive Attendees by engaging in misleading or deceptive Event advertising (i.e. making false claims, suggestions, or pitches). It is not Weezevent’s responsibility to verify the accuracy of the Organizer’s information. Nor is it up to Weezevent to determine whether Event advertising is likely to mislead Attendees. The Organizer is solely responsible for determining Ticket prices. Any modifications pertaining to Remuneration shall be made under the conditions stipulated in Article 24 herein. The Parties expressly agree that Remuneration remains due under all circumstances. Thus, should the Organizer need to refund the cost of Attendees’ Tickets, for whatever reason, Weezevent is still entitled to the aforementioned Remuneration. Remuneration, as defined in this article, includes or is in addition to applicable taxes, as outlined in the Price List. These taxes must be paid by the Organizer in all cases. The Organizer authorizes Weezevent to charge Attendees a processing fee, which belongs wholly to Weezevent. Weezevent is responsible for collecting these processing fees. Payments for Ticket sales are sent to Organizers every 15 days, on the first and sixteenth of each month. Due to unavoidable inter-bank delays and non-business days, payments to Organizers are generally accessible 5 to 8 days after the first and sixteenth of the month. Additional time for control and security operations is to be expected for the first payment. Each Event is accompanied by a sales summary. The Organizer can use the Software to access these sales summaries at any time. Any objections about payments made to the Organizer by Weezevent must be reported as soon as possible, and no later than one month after the payment is made. If no objections are made, payments are considered final and fully release Weezevent from any further obligation. If the Organizer does not provide his/her bank details, or if such information is incomplete, inaccurate or involves a currency other than the sales currency, Weezevent will not be able to effectuate payment. Weezevent reserves the right to withhold payment to an Organizer if it has any doubts concerning the entity that is to receive the funds in question. Such doubts may result from the use of a foreign account, missing information, etc. Weezevent’s services may not be used for illegal or fraudulent purposes. Weezevent may unilaterally decide to withhold payment for Ticket sales. However, it shall inform the Organizer of this decision by email, within 2 working days of making the decision to withhold funds. In this case, Weezevent will withhold the sum of all Ticket sales until the account owner’s identity has been duly validated. Similarly, under the aforementioned conditions, Weezevent reserves the right to withhold payment for sums due until the Event has successfully taken place, if there are legitimate doubts as to whether the event will take place as planned: e.g. an Event whose risk of cancellation is high, an Event that may potentially be in conflict with public policy regulations, etc. Weezevent also reserves the right, under the aforementioned conditions, to withhold payment for sums due until the Event has successfully taken place, if there are legitimate doubts pertaining to the Organizer’s right to distribute Tickets for said Event: e.g. an Organizer who does not possess all necessary authorizations to organize an Event, or who engages in misleading advertising practises, or who clearly lacks the right to stage a performance, etc. Should any of the aforementioned situations occur, Weezevent reserves the right to request that the Organizer provide documentation attesting to the reality and seriousness of the Event in question. Such documentation includes, but is not limited to, leasing agreements, Event-related permits, proof of business registration, proof of ID for organizational executives, contracts concluded with artists, etc. Under no circumstances shall the transmission of such documentation be considered sufficient proof requiring payment of the sums concerned. In cases involving legitimate doubt about an Event or an Organizer, Weezevent is authorized to withhold payment for Ticket sales, pending the Event’s successful outcome or Attendees’ eventual reimbursement. Weezevent expressly reserves the right to contact Attendees to verify any claims made by the Organizer. By accepting these ToU, the Parties expressly agree that the Organizer authorizes Weezevent to draw up invoices in his/her name and on his/her behalf. The rendering of accounts outlined in this article refer to invoices issued in the name and on behalf of the Organizer. In this respect, and in accordance with current tax provisions, the Organizer retains full responsibility for its billing obligations and any applicable associated taxes. The one-month period, stipulated in paragraph 3 of this article, also applies to the contestation of invoice contents. The Organizer firmly commits to: paying all applicable taxes appearing on invoices to tax authorities, immediately requesting a copy of said invoices if duplicates are not received, and reporting any business identifier changes to Weezevent. The billing mandate granted to Weezevent does not absolve the Organizer of his/her tax obligations. The Organizer acknowledges having been duly informed of the fact that all invoices, issued in his/her name and on his/her behalf, must bear the same information as those issued directly by the Organizer, including, but not limited to, assigned tax numbers. The Organizer agrees to immediately inform Weezevent of any mandatory business information that does not appear on the invoices. In the eventuality that it is impossible—for whatever reason, including those outlined in these ToU—for Weezevent to effectuate payment of sums due to the Organizer, an email alert will be sent. This email shall inform the Organizer of the impossibility of payment, indicate the reasons (whether technical or administrative) for the setback and outline the actions that must be taken by the Organizer so that payment may resume as quickly as possible. Should the sums due remain unclaimed 24 months following the date that the first email alert was sent to the Organizer, Weezevent will be compelled to record these sums as part of its own revenue. Weezevent’s contact details include those of our billing service. Feel free to contact us should you require further help or information. Weezevent’s sole responsibility to the Organizer is the proper performance of its obligations under this service and mandate agreement, i.e. selling Tickets to Attendees in the name and on behalf of the Organizer. Consequently, Weezevent is in no way responsible for any acts of misconduct committed by Attendees, including (but not limited to) the non-payment of Ticket prices. Thus, the Organizer is responsible, without exception, for any debit or credit card payment rejections (hereinafter referred to as “Unpaid tickets”) that may occur, for whatever reason, within 180 days of the transaction’s initial validation date and must therefore reimburse Weezevent upon request in such cases. A credit or debit card transaction over the Internet may be voided if the card holder informs his/her financial institution that the transaction was not authorized or that the order was not delivered within a 180-day period. Payment rejections typically occur due to disputes arising from card theft or loss. They may also occur when the card holder does not recognize the transaction on his/her statement or, occasionally, they may be the result of an error. In the event of a voided transaction, the card holder’s bank cancels the transaction and withdraws the money from Weezevent’s bank account. The Organizer expressly agrees to assume the risk of Unpaid tickets and to indemnify and hold Weezevent harmless in such cases. If a ticket goes Unpaid and the sum due has already been paid to the Organizer, Weezevent will attempt to contact the Attendee to resolve the situation. After a period of one month from the date the Unpaid notice is issued by the bank, Weezevent will invoice the Organizer for the amount of the Unpaid ticket and the relevant Remuneration due to Weezevent. To protect itself and the Organizer against the risk of Unpaid tickets, Weezevent makes use of all reasonable technical devices currently used by major e-commerce stakeholders for security purposes (i.e. 3D Secure technology). The Organizer expressly acknowledges that Weezevent may not be held liable for the failure of any of these systems and that he/she is perfectly familiar with the systems in question, most notably those employed in connection with stolen foreign credit cards. Furthermore, in the context of the relationship between Weezevent and the Organizer, the latter expressly agrees that he/she remains liable to Weezevent for any Unpaid tickets that may arise, regardless of the circumstances. Weezevent shall, however, actively assist the Organizer in recovering outstanding sums from Attendees, particularly in light of any information that it may potentially possess and be authorized to transmit, in compliance with the legal provisions in force. The Parties expressly agree that each Event set up by the Organizer authorizes Weezevent to sell corresponding Event Tickets, based on fixed quotas, in the name and on behalf of the Organizer. At the time that each Event is set up, the Organizer shall specify Ticket quotas, Event dates and times, and Ticket sales prices. The Parties may agree to share the Organizer’s General Terms and Conditions of Sale with Attendees, provided that the Organizer sends a prior express written request to this effect. The method used to disseminate the Organizer’s General Terms and Conditions to Attendees is outlined in the administrative interface. If an Event is significantly modified (i.e. the Event date, time, venue or program is changed) and Tickets have already been sold or are still on sale, the Organizer must inform Weezevent immediately. Under these ToU, significant Event modifications are considered Event cancellations. Should an Event be cancelled, the obligation to reimburse Attendees for the total amount paid is the responsibility of the Organizer. The Organizer expressly authorizes Weezevent to proceed with reimbursement activities, using the sums collected on his/her behalf. Should these sums be insufficient, the Organizer agrees to provide Weezevent with the necessary funds to reimburse Attendees. Furthermore, before and/or during Event marketing, Weezevent reserves the right to require that the Organizer provide a personal guarantee, stipulating that he/she is responsible for reimbursing Ticket prices and paying any related cancellation fees. If necessary, this guarantee may be required from any natural person, domiciled in Canada, regardless of whether or not they have participated in the Event’s organization. In the event of Attendee reimbursement, the Remuneration owed to Weezevent by the Organizer remains due and payable to Weezevent. Furthermore, in accordance with the Price List, an Event’s cancellation gives rise to the invoicing of cancellation fees. Should an Event be postponed, significantly modified or cancelled, the Organizer may expressly request that Weezevent totally or partially reimburse Attendees for the cost of all or part of the Tickets already sold, without being obligated to provide a reason. In this case, the Organizer must pay Weezevent the sums necessary to undertake the reimbursement. Should the Organizer initiate such a reimbursement, the Remuneration owed to Weezevent remains due and payable. Given that the Software must not be used for fraudulent purposes or by dishonest Organizers, Weezevent reserves the right to withhold the total sum of Ticket sales until the Event’s successful completion under Article 3, “Withholding Payment for Ticket Sales,” herein. Furthermore, before and/or during Event marketing, Weezevent reserves the right to require that the Organizer provide a personal guarantee, stipulating that he/she is responsible for reimbursing Ticket prices and paying related cancellation fees. If necessary, this guarantee may be required from any natural person, domiciled in Canada, regardless of whether or not they have participated in the Event’s organization. Weezevent owns all rights, titles and interests to its Sites and Software. The Organizer acknowledges that the Software is protected by intellectual property rights and agrees to respect these rights and ensure that his/her employees respect these rights. Thus, neither the Organizer nor his/her employees are authorized to copy or reproduce the Software in any form or by any means, whether in whole or in part. Nor are they authorized to transcribe or translate the Software into any other language or tongue, adapt it, or add any objects to it that do not conform to its specifications. Excluding content that may be posted by Organizers, all content included or accessible on or through Weezevent’s Sites, particularly texts, graphics, logos, names, trademarks, designations, tabs, features, images, sounds, data, photographs, and any other equipment or Software (hereinafter referred to as “Weezevent Content”), is the exclusive property of Weezevent and is protected by intellectual property rights and existing intellectual property laws. Only Weezevent and its licensees are authorized to use and exploit Weezevent Content. Any other use or exploitation constitutes a prohibited act of infringement, unless Weezevent has given its express written consent. Weezevent Content may not be downloaded, copied, altered, modified, deleted, distributed, transmitted, disseminated, leased, sold, licensed or used in any manner whatsoever, whether in whole or in part, without Weezevent’s express written consent. By posting content—including texts, images, videos, digital files and/or other elements (hereinafter referred to as “Organizer Content”)—on Weezevent Sites, the Organizer authorizes other Organizers, the public and Attendees to view Organizer Content, made available through said Sites or through other electronic communications media (including mobile phones), solely for personal purposes and free of charge. This authorization covers the entire time period during which Organizer Content is hosted on Weezevent Sites. The Organizer authorizes Weezevent to post or reproduce Organizer Content and, if necessary, to adapt the format of said content for the entire time period during which it is hosted on Weezevent Sites, for the sole purpose of making it available via the Internet and/or other electronic communications media. Due to the nature of the Internet, Weezevent may not be held liable for the misappropriation or piracy of content transmitted to Weezevent by the Organizer. It is the Organizer’s responsibility to implement all necessary measures intended to safeguard Organizer Content and related data. By posting Organizer Content on Weezevent Sites, the Organizer is subject to the associated legal provisions and regulations in force. The Organizer is therefore responsible for ensuring that the storage and dissemination of Organizer Content does not violate the rights of any third parties, from which necessary authorizations have not been obtained. Using Weezevent services to organize illicit or illegal Events is strictly prohibited. The dissemination of content that is likely to offend public order and/or morality is prohibited. More specifically, Weezevent’s hosting services may not be used to broadcast content or information that incites discrimination, hatred or violence toward an individual or a group based on their affiliation or non-affiliation with a particular race, religion, nation or sexual orientation or that offends victims of crimes against humanity by questioning the existence of these crimes or by glorifying them. Likewise, the dissemination of content that is humiliating, defamatory or pornographic, or that infringes on legal provisions intended to protect children, is strictly prohibited. Should Organizer Content violating the aforementioned interdictions be disseminated, said content may be subject to removal and the Organizer’s account deactivated, without prejudice to any damages claimed against the Organizer and without any prior formal notice being required. 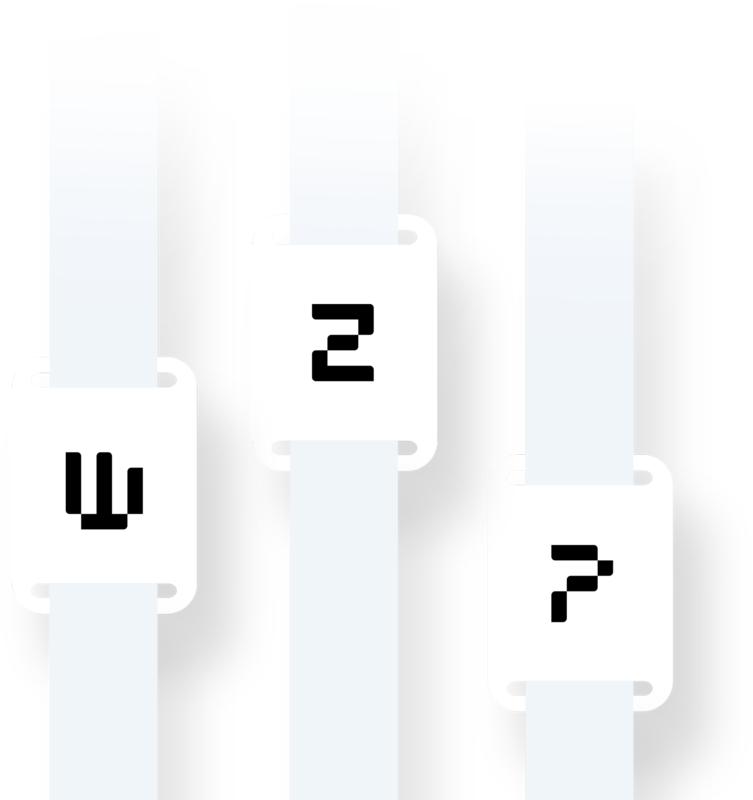 Weezevent assumes no responsibility for data, information or content, including Organizer Content, furnished by the Organizer and distributed via Weezevent Sites. In the event of scheduled service interruptions due to maintenance, security or storage management operations, Weezevent shall inform the Organizer within a reasonable time period prior to the interruption. Weezevent shall also indicate the foreseeable duration of service interruption. Weezevent shall do its best to schedule maintenance operations in a manner that minimizes their impact on ticketing service accessibility. Nevertheless, given that maintenance operations may be carried out from Europe, they may potentially take place during working hours in North America. As soon as Weezevent becomes aware of any technical malfunctions, affecting its ticketing system and likely to cause an interruption of more than 24 hours, it shall inform the Organizer thereof using the status.Weezevent.com site, so that the latter may make all necessary arrangements to sell the Tickets personally or via other distribution channels. Under no circumstances may Weezevent be held liable for non-scheduled service interruptions that are not the result of negligence. Should such a service interruption occur, Weezevent shall do its best to restore services as soon as possible. Similarly, the Organizer agrees to inform Weezevent of any suspected or known malfunctions affecting Weezevent’s services. has all of the authorizations required to organize the Event, the tickets for which will be sold by Weezevent, including an entertainment promoter licence for entertainment promoters, if mandatory, and any other necessary permit types. The Organizer agrees to indemnify and hold Weezevent harmless against any claims that may be made against it in this regard. The Organizer affirms that he/she holds exploitation rights for the Organizer Content submitted to Weezevent and posted on Weezevent Sites. As regards said Organizer Content, the Organizer agrees to indemnify and hold Weezevent harmless against any third-party action, including any action pertaining to infringement, as a result of its use on Weezevent Sites. The Organizer expressly declares to Weezevent that he/she is not contractually bound to any third party and that he/she is free to use Weezevent’s services in accordance with these ToU. The Organizer declares that he/she shall handle all administrative and fiscal obligations required to organize the Event and that he/she shall pay all related taxes and duties. The Organizer declares that he/she is responsible for the Event’s successful organization and outcome. As such, he/she agrees to comply with all applicable laws and regulations, including those pertaining to safety, the consumption of alcoholic beverages and work-related issues. The Organizer expressly authorizes Weezevent to use his/her name, logo or Event logo for referral purposes. This authorization applies to all of Weezevent’s business communications, regardless of medium, for the duration of this agreement. Upon the expiration of this agreement, the Organizer, if he/she so wishes, may expressly request the withdrawal of elements included in these communications. Such a request should include as much detail as possible. Upon receiving the Organizer’s request, Weezevent shall do its utmost to make the desired changes within a reasonable time frame. The Organizer declares that he/she has the full legal capacity to enter into this agreement. The Organizer declares that he/she is not insolvent or subject to insolvency, bankruptcy, seizure or liquidation proceedings. The Organizer, who is a natural person, declares to be of age and affirms that he/she is not subject to protective supervision or a homologated mandate of incapacity. As regards Ticket sales, Weezevent shall explicitly indicate that it is acting in the name and on behalf of the Organizer. Weezevent agrees to issue Tickets in accordance with configurations chosen by the Organizer, or chosen by Weezevent in the event that the Organizer has requested that the company set up the Event directly, in accordance with his/her instructions. Weezevent agrees to comply with all legal provisions relating to Ticket issuance. Furthermore, Weezevent agrees to include the following information on Tickets, in either written or coded form: the operator’s identity; the name of the Event and, if applicable, the session number for which the Ticket is valid; the seat category for which the Ticket is valid; the total price paid by the Attendee or an acknowledgement of free admission; the operation number assigned by the ticketing system; and, in the event of presale, the session number for which the Ticket is valid as well as the date and location of sale. Weezevent shall ensure the retention of data related to Ticket issuance for the statutory period required by law and shall allow the Organizer to access it in cases involving control activities. Weezevent shall retain statements of income in their original form and in chronological order. For each seat category, the company shall publish a statement of income in real time, including the number of tickets issued, the ticket price and the corresponding amount of revenue received. This statement will be accessible online via the Software. Should the Organizer so request, this statement may be sent to him/her in electronic form. Weezevent agrees to take all reasonable precautions to ensure that information designated as confidential remains confidential. Weezevent shall immediately inform the Organizer of any difficulties pertaining to Ticket sales, should such difficulties exist. Weezevent may not be held liable for the Organizer’s potential inability to access the online Software, or for users’ potential inability to access the online shopping space, due to Internet-related issues or any other reasons beyond its control. Weezevent may not be held liable for online Software setting errors introduced by the Organizer. Furthermore, Weezevent offers no guarantees, whether express, implicit, legal or otherwise, to the Organizer other than those explicitly outlined in this agreement. Weezevent specifically denies any guarantees regarding its services’ ability to meet the Organizer’s specific needs and/or expectations. The Organizer agrees to accept all Tickets, issued by Weezevent’s electronic ticketing system and presented to him/her at the time that the associated Event takes place. In accordance with current legislation, the Organizer agrees to exchange group Tickets (i.e. a single Tickets granting Admittance rights to several Attendees) for individual Tickets whenever the former are presented at associated Events. 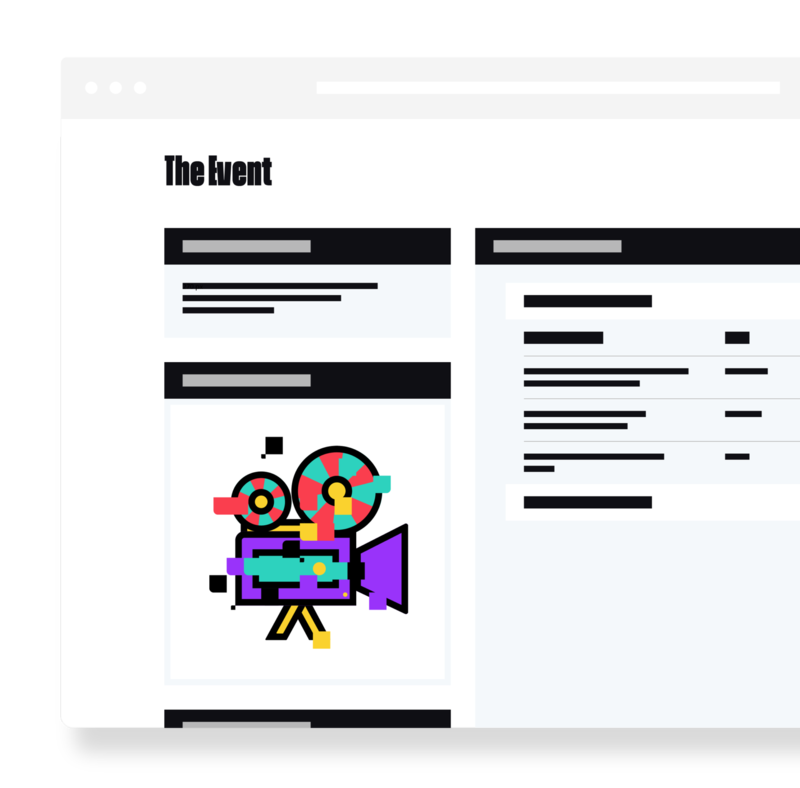 When setting up the Event, the Organizer shall indicate the type of documentary proof required to enter the Event venue based on the proposed pricing, and Weezevent agrees to transmit this information to Attendees. Similarly, the Organizer agrees to indicate all Admittance right restrictions, such as Attendee age tolerances or limits, and Weezevent agrees to transmit this informant to Attendees. The Organizer agrees to remain in good standing with respect to all tax obligations governing the Events that he/she organizes and agrees to collect and remit applicable taxes to the tax authorities, fully releasing Weezevent from any such responsibility. The Organizer agrees to indemnify and hold Weezevent harmless against any claims that may be made against it in this regard. In addition, Weezevent may require the Organizer to sign any form deemed necessary while the latter is organizing an Event. Given that the Organizer has access to Attendees’ personal information, he/she agrees to keep this information strictly confidential in accordance with applicable laws. More generally, the Organizer declares that he/she is fully aware of all current regulations implemented to protect Attendees’ personal information and that he/she is familiar with Canadian Anti-Spam Legislation. Furthermore, the Organizer agrees to comply with the aforementioned regulations. The Organizer must immediately inform Weezevent of any changes involving his/her name, assumed name, residence, business headquarters, billing address, corporate structure, bank details and/or tax numbers. Such changes must be made in writing via the Software. More generally, the Organizer agrees to refrain from behaving in a manner likely to undermine Weezevent’s brand image and thus pledges to respect his/her obligations vis-à-vis Event Attendees. The Organizer acknowledges that, for certain Attendees, Weezevent may be viewed as being affiliated with the Organizer. Consequently, the Organizer agrees that he/she shall not compromise Weezevent’s image or credibility, lest he/she be liable for damages. The Organizer also agrees to refrain from implying or suggesting, whether directly or indirectly, that Weezevent is the Event producer or organizer, or that it is associated with the Event in any way, or that it has endorsed or sponsored said Event. This agreement does not give the Organizer any authority to create obligations or otherwise bind Weezevent in any way, whether expressly or implicitly. The Organizer, who has chosen to sell Tickets through Weezevent’s intermediary, remains an independent contractor separate from Weezevent, and the nature of said relationship is acknowledged by the Organizer. The Organizer shall indemnify and hold Weezevent harmless against any Attendee claims pertaining to Ticket sales or Events, with the exception of cases involving misconduct on the part of Weezevent. To facilitate Ticket purchases, the Organizer may set up a hyperlink on his/her own website and thereby redirect users to the Event page on Weezevent Sites, thus enabling Internet users to book Tickets online. In this case, the Organizer’s website must clearly indicate that Tickets may be purchased from Weezevent. The Organizer may also add a Weezevent widget to his/her own website. Should the Organizer choose to do so, Attendees will then be able to directly place their orders on the Organizer’s website. Any rerouting to the Organizer’s website or to a Weezevent mini-site has no bearing on the contractual provisions outlined herein. The Weezevent solution may be used directly by the Organizer, at the Event venue. In this case, Weezevent does not intervene as an agent, but instead acts exclusively as a service provider, authorizing the Organizer to use its automated ticketing solution. Weezevent has set up a so-called “affiliation” referral system. This system involves Organizers (hereinafter referred to as “Referrers”) who introduce Weezevent to a new Organizer (hereinafter referred to as a “Referral”). Referrers benefit from a one-year commission equal to 10% of all Remuneration, excluding taxes and management fees, collected from said referral by Weezevent. The obligations arising from this article are valid for a one-year period, which is not renewable by tacit agreement. To this end, each Organizer benefits from a section entitled “Affiliation” in the Software. In this section, Weezevent provides an Internet link equipped with a tracer. In order for a Referrer to take advantage of the referral system, he/she must share this link with a potential Referral. The latter can then click on this link, thereby directing him/her to Weezevent Sites. If a potential Referral uses the same computer to register with Weezevent, within a maximum period of one month, said Referral will automatically be linked to the Referrer. Weezevent will then record this referral and will request additional information from the Referrer if necessary. To obtain payment for commissions generated by this referral, the Referrer must send an invoice in due form to Weezevent. The sum of this invoice must correspond to the amount of commissions payable to the Referrer, and the sum due must be greater than fifty dollars ($50). In accordance with current tax provisions, the Organizer retains full responsibility for its billing obligations and any associated applicable taxes. The Organizer agrees to remain in good standing with respect to all tax obligations governing these invoices and agrees to collect and remit applicable taxes to the tax authorities, fully releasing Weezevent from any such responsibility. The Referrer agrees to indemnify and hold Weezevent harmless against any claims that may be made against it in this regard. Under this article, commissions are not payable to the Referrer prior to the establishment of a final rendering of accounts addressed to the Referral. Under no circumstances shall payment be made prior to the Event’s organization by said Referral. Should the Referral’s Event be cancelled or unsuccessful, the Referrer will not be entitled to sales commission. Weezevent agrees to provide the Referrer with all necessary explanations justifying the cancellation of a sales commission, subject to the retention of data concerning the Referral’s activities and respect for the latter’s trade secrecy rights. Weezevent reserves the right to refuse a Referral, especially in cases involving a request to be affiliated with an existing account. Given that this article is concluded intuitu personae, neither its provisions nor the rights and obligations stipulated hereunder may be assigned or transferred to any other individual, in any form whatsoever, by an Organizer. The Referrer affirms that his/her dealings with Weezevent shall always be carried out fairly and in good faith and that he/she shall refrain from implementing a system of self-affiliation. Should Weezevent have serious doubts about the Referrals introduced via a Referrer, Weezevent is authorized to suspend payment of the aforementioned sales commission(s). Weezevent may request documentation proving that the Referral and the Referrer are not the same individual. In the event that the Referrer is an entity that has direct or indirect control over a Referral or, conversely, is an entity that is directly or indirectly controlled by said Referral, Weezevent is under no obligation to pay the sales commission and will not do so. Weezevent’s affiliation referral system stipulates that the Referrer and the Referral must be two independent entities. Similarly, under the aforementioned conditions, Weezevent is under no obligation to pay the sales commission to a Referrer whose Referral shares the same recipient bank account. Various services offered by Weezevent require Organizers to lease equipment (for access control, printing, etc.) from Weezevent. In such cases, a specific lease agreement must be concluded between the Parties. All contractual provisions binding the Parties and related to the leasing of equipment are outlined in the leasing agreement. Weezevent shall forward this agreement to the Organizer. This agreement is concluded for a fixed term and ends once the Event has taken place. Should the Organizer fail to meet his/her contractual obligations, Weezevent may immediately terminate this agreement without prior notice. Contractual breaches, committed by the Organizer, and potentially leading to this agreement’s termination include, but are not limited to, the following: failure to meet obligations pertaining to taxation or Event security, violation of third-party rights, the dissemination of unlawful content, the occurrence of behaviour that is likely to damage Weezevent’s brand image and reputation, failure to meet obligations vis-à-vis Event Attendees, etc. Weezevent may terminate this agreement without prejudice to any potential damages that it may claim. The Organizer hereby waives recourse to Article 2125 of the Civil Code of Québec and consequently relinquishes his/her right to unilaterally terminate this agreement. To maintain the continuity of its services and Site hosting activities, Weezevent employs all appropriate technical devices currently in use for such purposes. Weezevent may not be held liable in the event that its servers, or servers hosting Weezevent Sites, become inaccessible due to a force majeure event including: failure of the public electricity grid, strikes, storms, warfare, earthquakes, failure of the public telecommunications network or loss of Internet connectivity due to issues originating with the public and private operators on which Weezevent depends. In the event of service interruption due to technical maintenance, the provisions of Article 10 also apply. The Organizer waives the right to any indemnity or recourse against Weezevent in the event of force majeure. Weezevent may not be held liable for damages involving the use of external service providers or for damages related to the inability to sell Event Tickets via Weezevent Sites. Weezevent considers this article to be an integral and substantial component of this agreement, and its non-inclusion herein would have precluded it from entering into this service agreement with the Organizer. The Organizer affirms to be fully informed of the inherent risks involved when disseminating content across networks, despite the fact that Weezevent uses security standards that ensure a high level of safety and reliability (https, SSL certificates, etc.). The technical capabilities of online networks are such that at certain times of the day, Internet access may be saturated (poor telephone connections, modem deficiencies, insufficient bandwidth, node saturation, etc.). As a result of the foregoing, and in full knowledge of the nature of Sites and services offered by Weezevent, the Organizer waives all indemnities and claims, regardless of their type, against Weezevent in connection with any of the facts or events mentioned above. Proof of transactions will be conserved and archived by Weezevent in accordance with the applicable legislative and regulatory provisions in force. The Parties may rely on any act, fact, omission, program, data, file, recording, operation or other item in electronic form for evidentiary purposes. The Organizer agrees that he/she will not contest the admissibility, validity, enforceability or probative value of the aforementioned electronic elements on the basis of their electronic nature. Unless otherwise proven, the aforementioned elements have the same probative force as any document drawn up, received, or conserved in writing and will be considered equally valid and binding on the Parties, in the same manner and under the same conditions. The Parties expressly agree that in the event of a discrepancy between Weezevent’s computerized records and paper or electronic documents available to Organizers, Weezevent’s computerized records will prevail. The total amount of Weezevent’s liability for losses, expenses or damages arising hereunder will be limited to the amount of Weezevent’s Remuneration for the relevant Event. Weezevent considers this limitation of liability to be an integral component of the agreement, without which it would have implemented a different pricing structure. This provision does not apply to damages whose limitation or exclusion are prohibited by law (in which case the amount will be limited to the minimum amount required by law). This provision, as well as Weezevent’s indemnification obligations—which may be found elsewhere in these ToC—constitute the Organizer’s sole and exclusive remedy against Weezevent. Neither Party may assign any or all of its contractual rights or obligations to a third party without the prior written consent of the other Party. This agreement establishes the Parties’ rights and obligations in their entirety. It invalidates and supersedes all oral and/or written agreements that may have been previously concluded between the Parties. Any dispute related to the interpretation, execution or termination of this agreement, which cannot be resolved amicably, will fall under the exclusive jurisdiction of the competent courts of the judicial district of Montreal, Québec Province, Canada, to which the Parties attribute jurisdiction, regardless of the place this agreement is executed or the place of the defendant’s domicile. This agreement is subject to the applicable law of the Province of Québec, Canada, which governs its formation, application and interpretation, to the exclusion of the United Nations Convention on Contracts for the International Sale of Goods, if applicable. Modifications enter into force 30 days after the date of Organizer notification. Once the modifications have taken effect, they apply to Events that have already been scheduled and are expressly accepted by the Organizer. The Organizer may, however, terminate this agreement once they come into effect, should he/she take issue with them.